I have prepared a list of best deodorant for men in India. Before going to the list, let’s have a look why do you need a deodorant. For men, it becomes mandatory to use deodorants before they go out because their body tends to release more sweat and odor than women. Using a good smelling and long lasting deodorant makes one feel confident and positive. Deodorants are composed of masking components that can help conceal any foul body odor released by your sweat glands. However, it is also true that shopping for deodorants can leave most of us feeling confused and baffled. The market can offer you plenty of products with lots of variants even within a single deodorant brand. Let’s discuss the features of these Best Deodorant For Men In India 2018. Surely you will find a best one for your self. Brut is considered as one of the most reliable deodorant brands in India. The best thing of brut deodorant is the it is free from any harmful chemicals which make it safe for your skin. Brut original deodorant spray is the most selling deodorant variant from all brut fragrances. The fragrance of Brut original features an aromatic blend of ingredients. This spicy masculine scent has been a favorite of many since generations and it still continues to allure. For the best result, you can use it just after your bath. Instinct, Ocean, Identity, Musk, and Brut Classic are some other variants from this collection. Super seductive and fresh, this scent is one that no one can forget in a long time. A heady mix of aquatic and woody notes, it drops a hint of pepper to leave you smelling trendy and sophisticated. When leaving a lasting impression is on your mind, this scent is a must-have in your wardrobe. 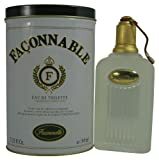 When to use: Perfect for all-day wear, this fragrance is best used when you want to make a lasting impression. Beachy and oceanic in its composition, this heady scent features woody, mossy, and aquatic notes with a hint of musk to give you a unique fragrance that lasts all day long. It is a great scent to sport when you are heading outdoors. The fragrance is super refreshing and earthy. When to use: This deodorant is ideal for everyday use, all year long. However, make sure it finds a place in your vacation bag. Nautica Voyage and Nautica Voyage Sport are some other great smelling variants in the collection. 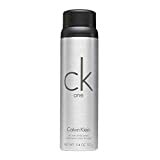 You can call it a lighter version of your favorite CK scents. It has the combination of some of the most strong and magnificent notes that can make your presence significantly prominent. The product has notes of Bergamot, Cardamom, Jasmine, Fresh Pineapple, Papaya, Nutmeg, Violet, Rose, and Musk, which leave you feeling instantly refreshed. However, this fragrance might not remain as prominent as the day progresses. So make sure you carry a bottle with you if you have a long day ahead. Apply this spray after taking a nice shower and enjoy the fragrance on the resh skin just before you are heading out. This international brand features a mesmerizing fragrance in heady notes of Frosted Grapefruit, Rose Absolute, Blood Mandarin, Peppermint, Musk, Tonka Bean, Patchouli, Cinnamon Bark, Blond Leather, White Wood, and Amber Ketal. The mix is something you will instantly fall in love with and who knows, you might even have someone fall in love with you simply because of the scent you sport! This deo from Paco Rabanne can be bought for day long uses. It makes a great office wear and transitions well into the evening out with friends or colleagues. This Product is Shipped from USA within 7 to 14 days of reciept of order. 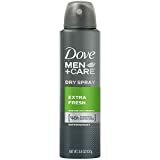 This deodorant from the house of Dove goes on instantly dry and offer a cleaner feel throughout the day. The company claims 48 hours odor and sweat protection with this product. This makes it a long lasting deodorant. The dry and fresh feeling helps the users to feel good for longer periods while working in a humid climate in India. This deo is gentle on the skin and comes with the assurance of a non-irritant formula that has been clinically tested for its claims. This is perfect for morning use; just have some spray of this product after taking a bath. Clean Comfort, Cool Fresh, Invisible Dry, and Plus Care Dry are some other variants from this collection. This deodorant is a fresh scent that leaves an invigorating effect on the users. It has a unique yet very inspiring fragrance that can charge you emotionally and makes you feel special at any time in a day. Although, the brand claims 24 hour fragrance with this product, user reviews reveal a four to five hour lasting time for the scent. 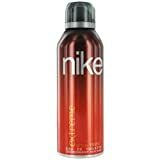 You can use Nike deo anytime you want. They are perfect for all day long use for men. Nike Casual, Pure, and Original are some other variants from this collection. This is a fresh, sporty, and invigorating scent from Adidas. It highlights spicy notes of cinnamon, bergamot, vanilla, and cedarwood and comes across as a sensual and masculine fragrance. Perfect for sporty and active men, this fragrance comes dermatologically tested. It features the 0% aluminum salts formula, which helps maintain the skin’s pH throughout the day. This deodorant is perfect for daytime wear. Ice Dive, Pure Game, Team Force, and Dynamic Pulse some of the most popular deo variants from this collection. Here are some of the best deodorants for Indian men this year. Look through to find out your perfect fragrance here. This deodorant from the house of Park Avenue can keep you fresh throughout the day as it comes with an eight hour fragrance lock technology. It is a perfect deo for summers (the dominant season of India) and features anti-bacterial properties teamed with an oceanic and airy scent. The spicy, woody, and citrus hints make it an ideal choice to start your day with. You can use it both during the day and at night. However, this is more appropriate for long summer days. Use it after bath and feel fresh all day long. Storm, Tranquil, and Good Morning, are some of the variants available in the Park Avenue Original Collection deodorants. Handsome and versatile actor Farhan Akhtar is the brand ambassadors for Park Avenue deodrants. 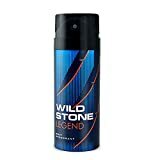 Created by perfumers from France, Wild Stone Deodorants are the best deodorant for men who sweat a lot. Impactful and robust these fragrances are curated keeping the sultry and warm Indian climate in mind. The Wild Stone Legend works well to mask sweat odours and features long lasting fragrance in woody, aromatic notes that leaves a mark wherever you go. Enriched with triclosan, this deodorant ensures you feel fresh and confident all day long. No matter whether you are preparing for your office in the morning or going for a late night party – you can spray it on your body and feel great all day long. Knight Rider, Thunder, Grey, Red, Hydra Energy, Forest Spice, Aqua Fresh, and Ultra Sensual are some of the most popular deo variants from this collection. This is one of the most popular deodorant variants from Old Spice. Old Spice Musk Deo is known for providing you a clean and manly smell that will stay with you throughout the day. Those who are looking for a masculine scent that offers refreshing feel throughout the day can try this one. You can use it anytime of the day. However, spraying it the early morning after a bath to remain fresh all day long. Original, Danger Zone, After Party, Fresh, White Water, Sport, and Danger Zone are some other variants from this collection. Supermodel Milind Soman is the brand ambassador of this product in India. Before you shop for the best deodorant, you must understand your personal taste of fragrances. You can try different brands but choose the one that can reflect your personal best and make you feel confident at the same. The options are many, make sure you pick the right one or many that you love. If I missed to include your favorite deodorant in this list, Let me know in the comments.